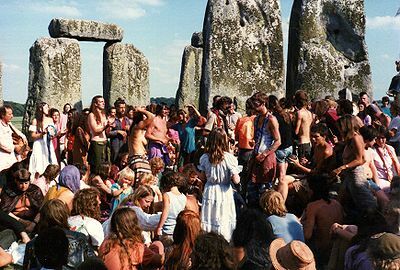 The Stonehenge free festival was a festival from 1972 to 1984 held at Stonehenge in England during the month of June, and culminating on the summer solstice on June 21st. The festival was a celebration of various alternative cultures, in particular neo-paganism. Sid Rawles' tepee people and the Wallys were notable counter culture attendees and bands such as Hawkwind and Gong played for free.There were also many illegal drugs openly sold during the festivals. There was a self policing ban on the selling of heroin, but cocaine, and amphetamines as well as LSD and cannabis were all openly sold on the festival site, with the only sign of policing being the stop and search imposed on some people on their way in or out of the site. The festivalattendees were viewed as hippies (and some were, in fact, self-described hippies) by the wider British public. This, along with the open drug use and sale, contributed to the increase in restrictions on access to Stonehenge, as fences were erected around the stones in 1977. The same year, police resurrected a moribund law against driving over grassland in order to levy fines against festival goers in motorised transport. 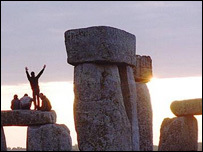 Stonehenge's meaning has been historically contested, and that trend was dramatically continued in 1985 when English courts banned the Free Festival from being held at Stonehenge. The ruling came so late that some Free Festivallers did not know about it, and several hundred attempted to show up defiance of the ruling. 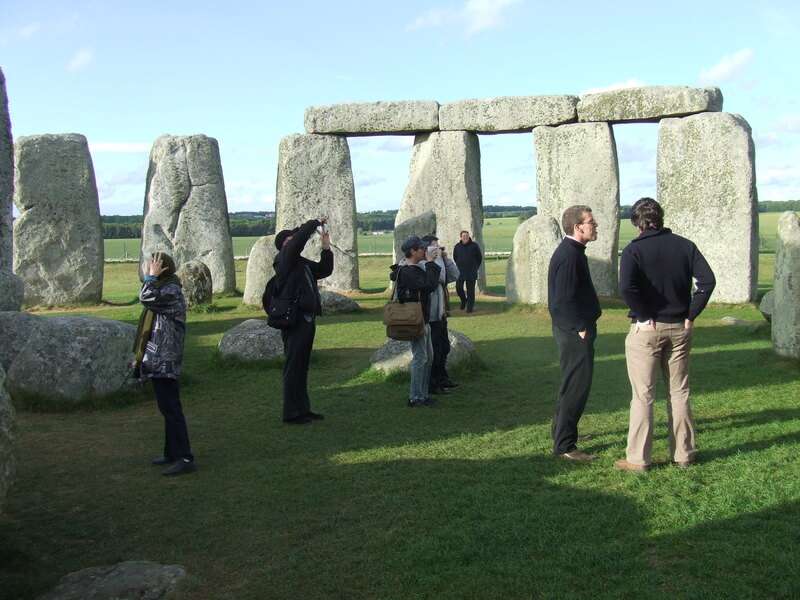 The ensuing confrontation with police ended in the Battle of the Beanfield and no free festival has been held at Stonehenge since, though people have been allowed to gather at the stones again for the solstice since 1999.